All of your investment sales need to be included on your tax return. 2. How Much in Taxes Do You Pay on Stock Market Earnings? Even though you did not make any money on stocks you sold, the IRS doesn't know that. Your broker will report the sales to the tax agency, so you need to complete the right forms for your taxes to show that those sales produced no profits. Also, if you lost money on your stocks, those losses can be used to reduce your taxes for the year. 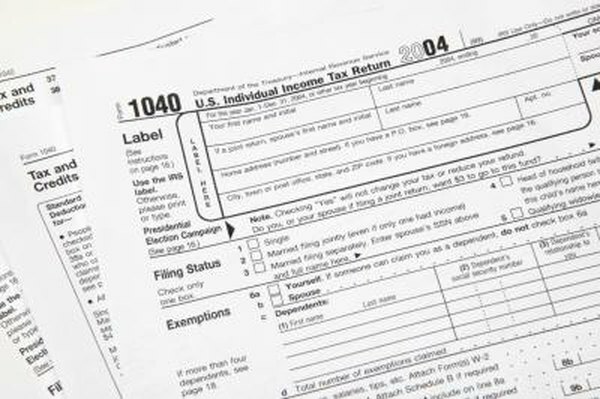 Under U.S. tax rules, if you sell almost any type of asset for more than the cost, you have a capital gain; that profit must be reported on your tax return and the appropriate taxes paid. With investments such as stocks, you also report capital losses. It is highly unlikely that you broke exactly even on a stock sale, including commissions, so what you think of as a no-gain investment is probably either a small gain or small loss. At the end of the year, your broker sends you a Form 1099-B that lists the value of the stocks you sold during the year. The broker sends the same information to the IRS. The 1099 only shows the value of the stocks you sold and does not show your cost or that you did not make a profit. To avoid receiving a tax bill on the full value of the sales proceeds, it is important to complete the capital gains disclosures on your tax return to show you did not make a profit on those sold shares. The Schedule D, "Capital Gains and Losses," form must be completed and attached to your Form 1040 tax return. The information for the Schedule D comes from a Form 8949, which is where you list the separate stock sales results. You need the purchase and sales dates plus the prices of the stock at which you bought and sold it to complete the form. Remember that broker commissions increase your cost basis, reducing any gain or increasing the size of a loss. Capital losses from investments can be used as a tax write-off. The capital gains rules require you to first use any losses to offset or reduce your reportable capital gains for the year. So if some of your sold stocks were gains and some were losses, the losses go against the gains. If you have more losses than gains, up to $3,000 in excess capital losses can be used each year as a write-off against other income. So even if your stock sales produced a small amount of losses, the results will lower your overall tax bill. Do I Have to Report Buying Stocks If I Did Not Make a Profit?